Sarah Key is one of the world’s leading experts and authors in the treatment of back pain. Sarah runs unique back retreats informed by her experience running her celebrated clinics in London and Sydney over the last 40 years. From her time in London, Sarah has been Physiotherapist to the Royal Family and was made a Member of the Victorian Order by the Queen in 2003. 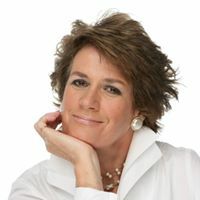 Sarah has a high profile with back sufferers throughout the world through her popular books first published in 1986, and websites, including the acclaimed SimpleBackPain with over 200 pages. Sarah is now focused on passing on her knowledge to the next generation of therapists dealing with back pain. She is doing this through her state-of-the-art Sarah Key Education platform which hosts her Module webinars and information on the accompanying Practical Adjuncts.